July 21, 2015: Ranplan has appointed Curtis Olinger to lead its North American sales team and drive ambitious expansion plans to build a strong presence in the US. The fast-growing UK-based company has developed a next generation, all–in-one solution for planning and optimizing combined outdoor and indoor Small Cell, DAS and HetNet environments. Olinger brings with him a wealth of knowledge and experience in the wireless industry from both an infrastructure and mobile device perspective. Before joining Ranplan, he led Technical Sales at JDSU for key accounts with a focus on RF and Ethernet testing. Prior to that, Olinger was involved with the launch of the first Sprint personal hotspot and multiple data devices at Novatel Wireless. 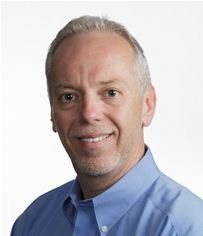 His previous experience includes solutions engineering for early soft switch and media gateway packet trunking offload at Santera Systems, as well as several technical roles with AT&T Bell Labs and Lucent Technologies. He holds a Master of Science Degree in Computer Science from Illinois Institute of Technology. With growing interest in Distributed Antenna Systems (DAS) to deliver in-building mobile coverage, Ranplan launched its new iBuildNet® DAS solution in June at the DAS & Small Cells Conference in New Orleans. .
“Curtis’s extensive experience in the wireless industry, as well as his first-hand knowledge of the challenges faced in the North American market are a great asset and will play a major role in driving Ranplan’s expansion of our new US operations,” said Graham Peel, CEO of Ranplan. Ranplan is an innovative wireless technology company that has developed world leading software tools for outdoor/indoor wireless network planning, design and optimization, using advanced 3D building modelling and radio propagation simulation. The company is at the forefront of research and development for radio propagation, femto/small cell design, automatic RAN optimization and the deployment of complex HetNets.